Activision Publishing’s CEO Eric Hirshberg said as the maker of the most successful first-person shooter, Call of Duty, it was a risk bringing a children’s game to market. But he said Skylanders: Spyro’s Adventure, which attempts to bring physical toys to life through videogames, has been worth it. To be sure, the game was a major deviation from the company’s war-based roots. It melds physical toys with videogames by using a “portal,” which is plugged into the game console. 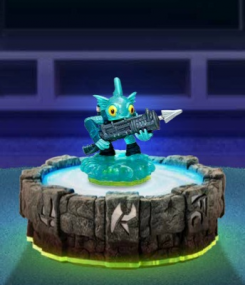 Once a Skylanders toy is placed on the portal, the character transports into the game and comes to life on the screen. In 2011, the game was the tenth-best seller after launching in October, and was the only title to make the list that wasn’t a sequel. Additionally, it was the only kids game. 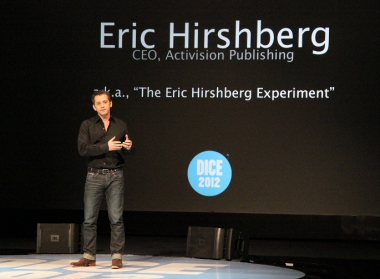 Hirshberg appeared this morning as the keynote speaker at DICE, an annual videogame summit held in Las Vegas. His speech, titled “The Eric Hirshberg Experiment,” addressed how he has a nontraditional background as a CEO, but that Activision Blizzard’s CEO Bobby Kotick saw the usefulness of his creative background. Rather than being a trained operations or finance manager, Hirshberg is a marketing type who is more likely found drawing and bringing a sketch pad to meetings. Skylanders is just one case in point. To make it the best experience possible, Hirshberg said they delayed the game’s launch by a year and spent the time getting the toys right, so they could compete side by side with characters developed by Pixar or Disney. They also spent time making sure the game could work across platforms, so kids could play it at any of their friends’ houses regardless if they had a PC, Xbox, Sony PlayStation or Nintendo Wii. 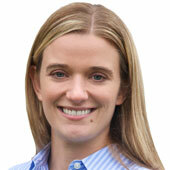 As a result, every decision resulted in taking on more risk and spending more money. Last night, Skylanders was voted as the most outstanding innovation in gaming as part of the 15th Annual Interactive Achievement Awards, which are decided on by members of the Academy of Interactive Arts & Sciences. Yesterday, Activision reported fourth-quarter results, reporting well above its internal guidance and Wall Street analyst expectations, driven by extremely strong sales of Call of Duty, but also strong sales of Skylanders as well as, plus stable subscriber figures of its online game, World of Warcraft. Additionally, the NPD Group said yesterday that the Skylanders toys were a top-selling accessory in January. It said that the toys were the highest-ranking item last month, and that collectively, Skylanders accessories represented 22 percent of all accessory sales. For sure, Hirshberg has early successes to point to, but the experiment is ongoing.